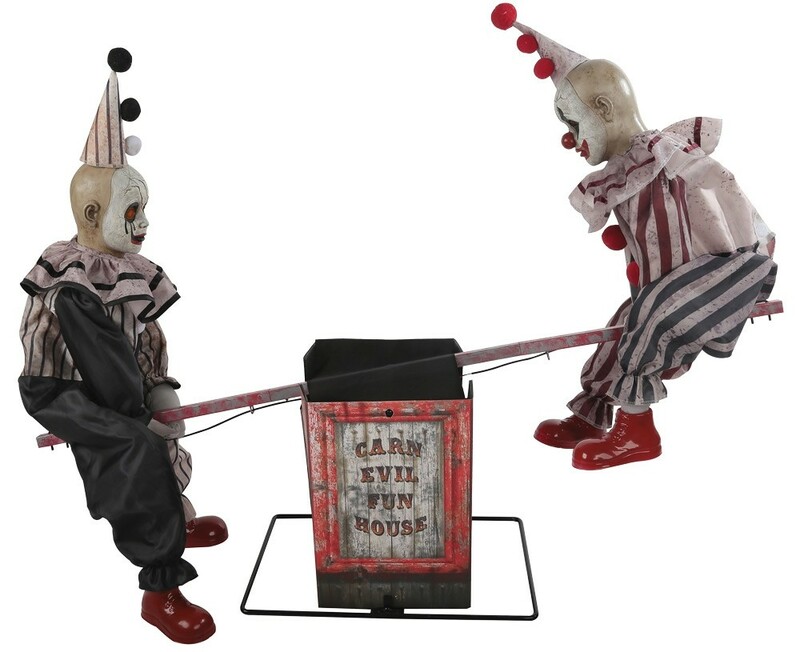 Give an eerie, melancholy mood to your Halloween scene when you bring home this see saw clowns animated prop! Two vintage clown dolls with hollowed-out eyes are slowly riding up and down on a see saw while a chilling tune plays! Choose from Steady-On, Infra-Red Sensor, or Step-Here Pad (included) activation options. The infra-red sensor works up to 6.5 feet away and works in all lighting conditions - bright light to no light! UL power cord is included. Includes volume control. Assembly is required. Materials: polyester, PVC, sponge, plastic, hemp rope, electronics.